In this highly eroticized re-telling of the classic Grimm Brothers’ fairy tale, readers will fall in love with the two beautiful, lustful sisters, Snow White and Rose Red. Snow White, with her porcelain-like skin, blonde hair, and demure pink lips, wants to marry Jacob Grimm, but he, the wayward lad, wants to marry a lass with money and a title; sadly, Snow White has none of these attributes. At last, in despair of ever finding a husband within the village, she agrees to marry Richard Haus, a wealthy widower from a distant land. But what is she to think of the rumors people tell? Is Richard truly a Bluebeard, with his succession of deceased wives? Now Rose Red, with her pale skin dotted with freckles, raven-black hair, and blood-red lips, encounters far more difficulty in her pursuit of a husband. During the long winter, during which time, she, her mother and sister, nurture Black Bear at their hearth, she is stunned to find herself falling in love with an animal of the forest. When Black Bear leaves, at the springtime thaw, she is surprised when she sees a scrap of gold fabric clinging to Black Bear’s paw. Before he leaves, Black Bear warns the girls to stay away from the evil dwarves. They have been hiding underground during the bitterly cold winter, and now with springtime’s thaw, they will break through the earth and wreck havoc. But Rose Red has more prosaic concerns. She is in love with a young man from the village, Roland. 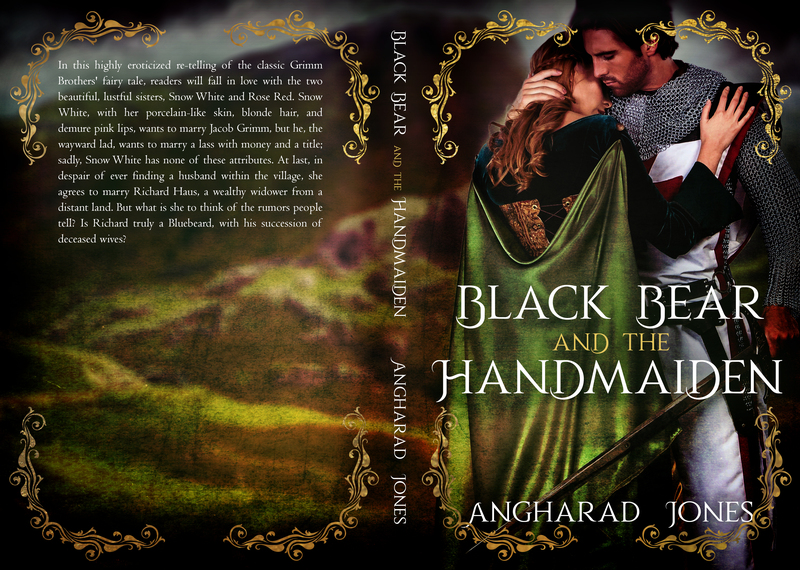 When war is declared, though, Roland enlists, and, despite Rose Red’s best efforts to persuade him to marry her, he asks her to wait. For two long years, Rose Red toils and fears she shall turn into an old maid. When Snow White writes to Rose Red, asking her to attend to her during the birth of her first child, Rose Red realizes that her life will never truly begin until she kicks the dust of the provincial old village off her heels. As she embarks upon her journey to the distant land, she is surprised to see the King’s men. They are searching for the Prince, who disappeared years earlier, never to be seen again. And why does Snow White fear for her life?